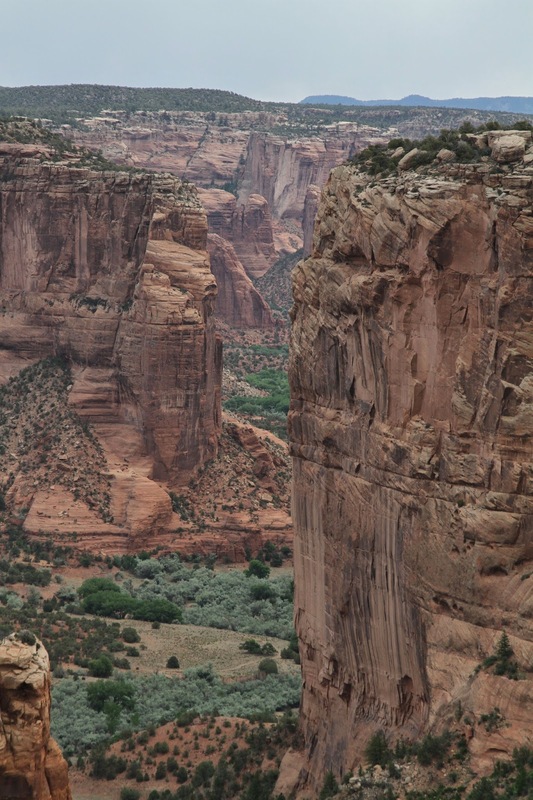 Canyon de Chelly National Monument might not be as spectacular as the Grand Canyon, and it probably doesn't have the extensive cliff dwellings of Mesa Verde National Park. But it does have it's own charm; our friend Peter, who has lived in the area for years, described it as an "intimate" canyon. I think that's pretty accurate and in fact, a large part of it's attraction. curving path through the canyon. 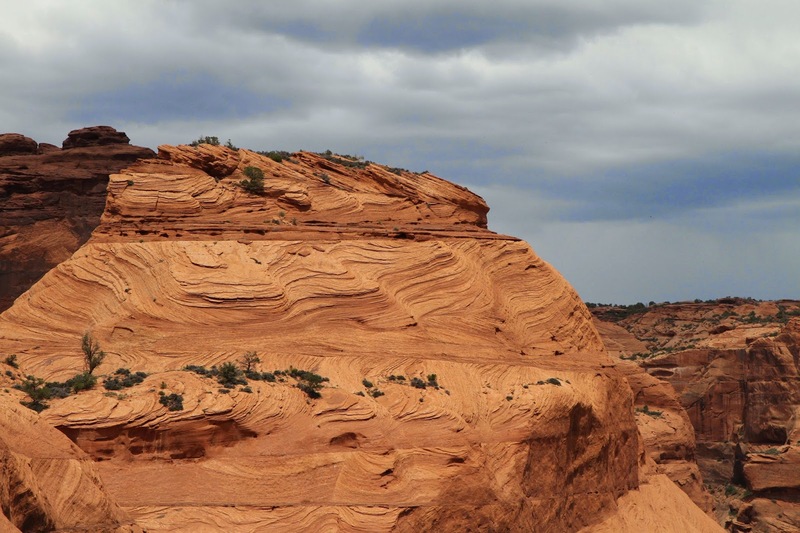 The park is actually made up of multiple canyons, all converging near the entrance and Visitor's Center. It's unusual in that people still live within the monument, farming and raising livestock as they have done for centuries. 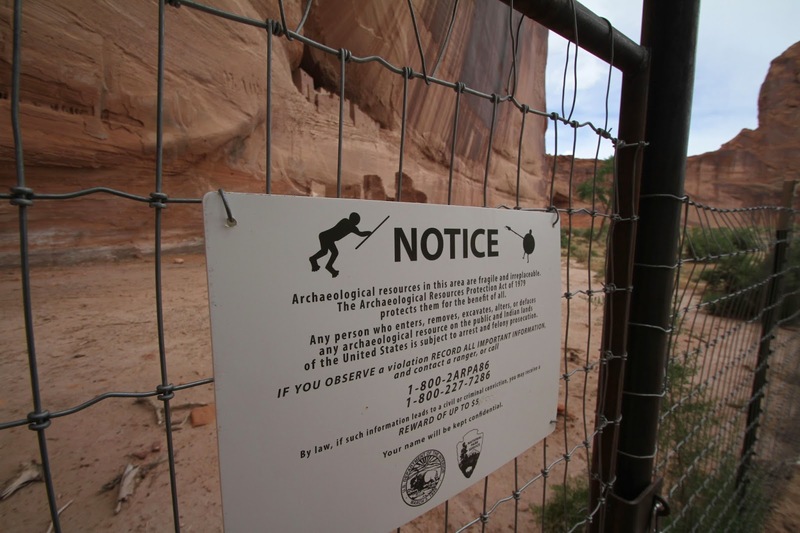 Since it's privately owned land, there is very limited access to the canyon floor itself; there is only one trail you can take to the bottom without hiring an authorized guide. 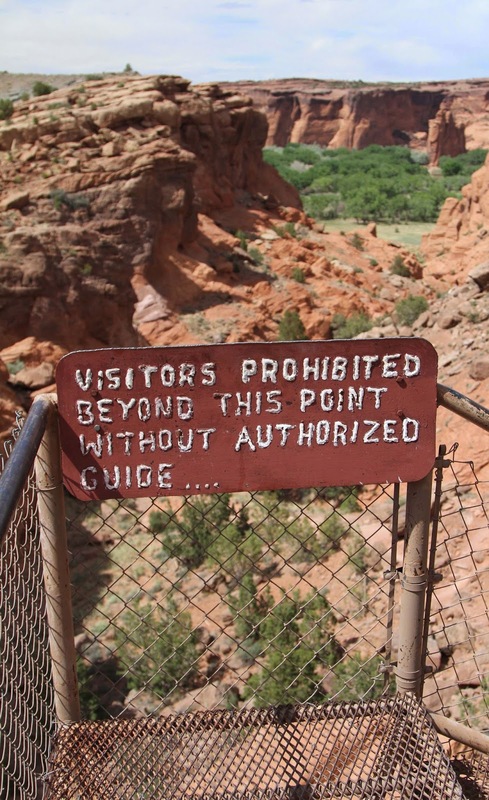 There is no entrance fee, but of course if you hire a guide there will be a charge. 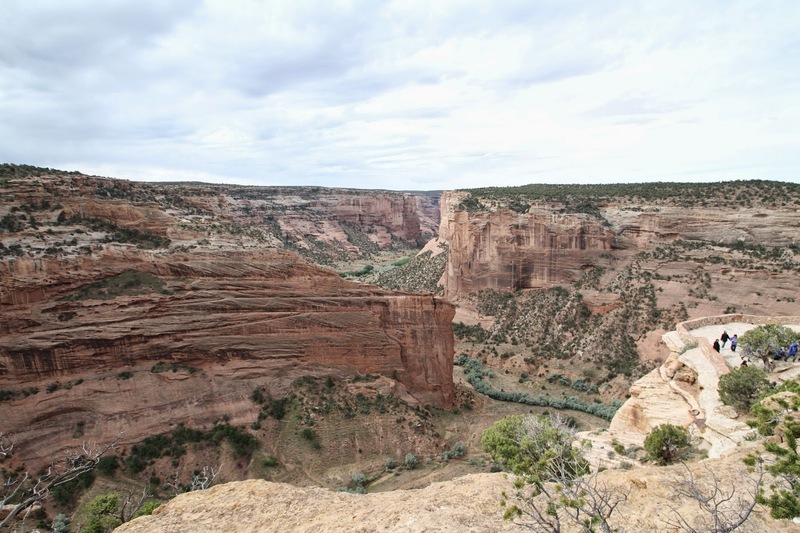 The park is shaped in a rough "V" pattern and has two main roads flanking the sides: North Rim Drive overlooking the Canyon del Muerto and South Rim Drive that looks down on the Canyon de Chelly. The most popular is South Rim; it's the one with the famous Spider Rock formation featured on all the brochures and websites. Consequently, the North Rim Drive is much less crowded. That coupled with the fact that it has the best light for morning photography made it the perfect choice to start our tour. There are four overlooks on the North Rim. We drove out to the farthest one and made our way back to the park entrance. As it turned out we ended up tailing a school bus full of kids out on a field trip from a local elementary school. Ordinarily it would have been annoying, but it was actually interesting to hang back and listen to the teachers explain what we were looking at, and why each area was important to their history as descendants of the canyon's inhabitants. Besides, watching a bunch of fidgety kids--some excited, some bored to tears--was pretty entertaining, especially since we weren't the ones in charge of keeping them from falling over the edge. 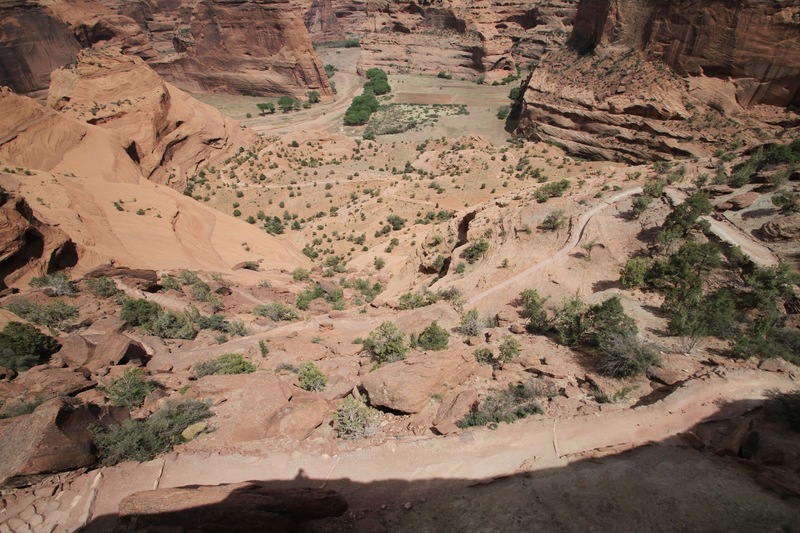 The Massacre Cave Overlook was a bit gruesome; it's situated in (possibly) the very spot Spanish soldiers stood shooting at Navajo people who were hiding in a cliffside cave. 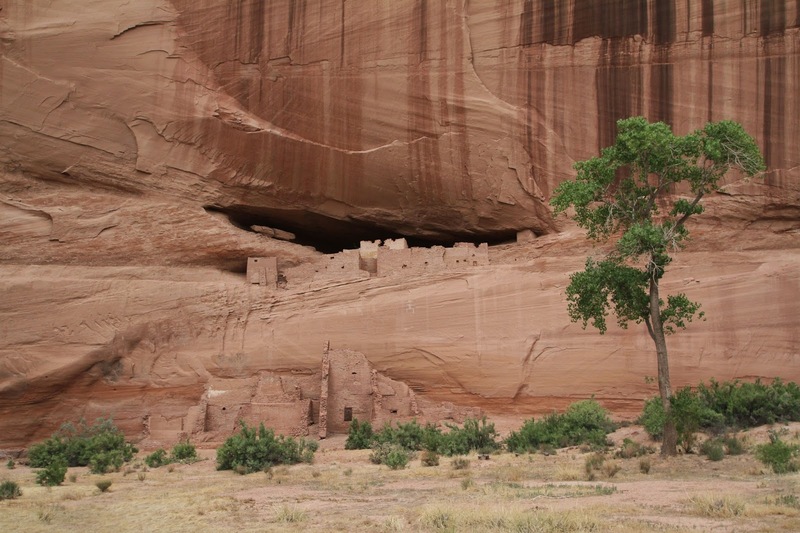 The Spanish claimed to have killed 90 warriors and 25 women and children, but according to Navajo accounts most of the men were away hunting at the time, so the actual victims were mostly women, children and old men. 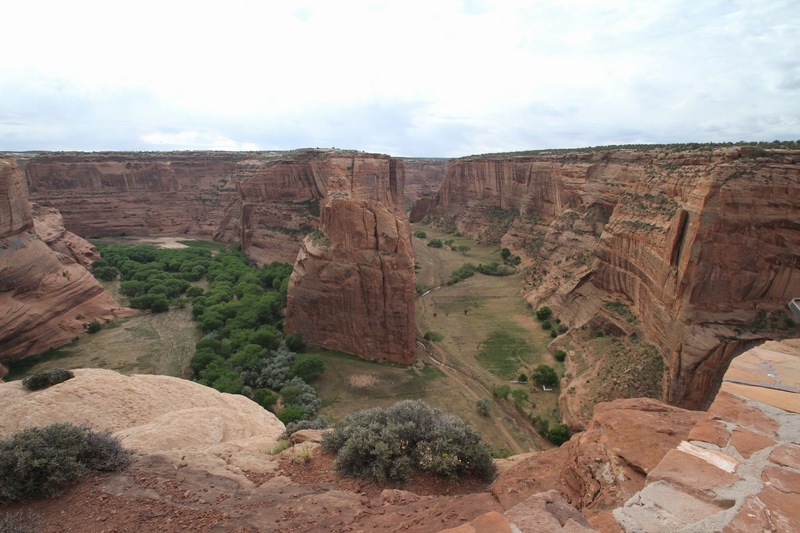 From Mummy Cave Overlook you can view the largest ancient Puebloan village preserved within the monument. 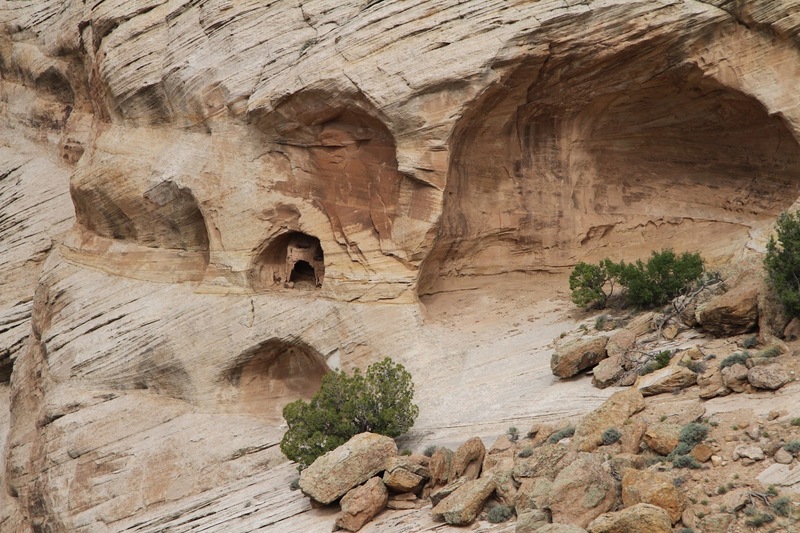 Over 70 rooms are built into the cliffside on a rock shelf; when it was excavated in the 1920's two mummified bodies were found, well preserved by the dry climate and sheltered space. 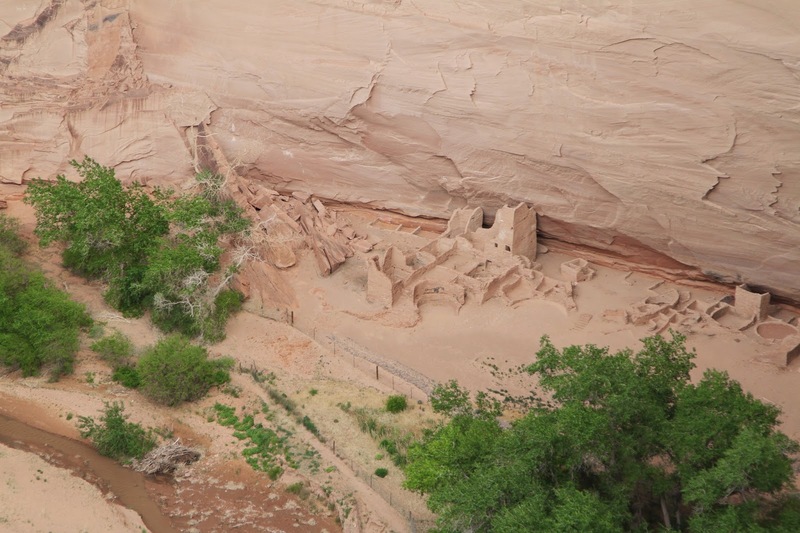 Antelope House Overlook has a great view of some ruins, but more impressively, pictographs and massive red cliff walls. The short hike out to the overlook was interesting as well, giving us a closer look at the surrounding vegetation and sandstone that make up the area. Antelope House Ruins. 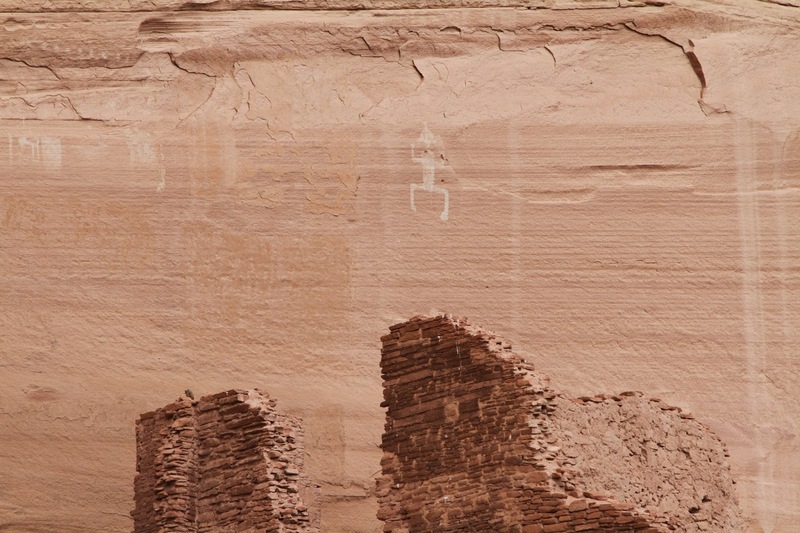 If you look closely you can see pictographs above the ruins on the left. 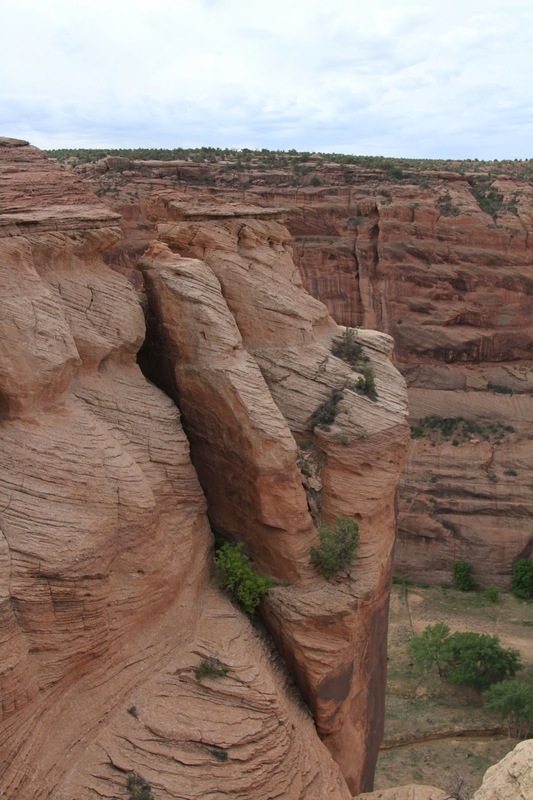 The Ledge Ruin Overlook is not quite as impressive, but gave another perspective as it nears the confluence of the two canyons. A lone kiva sits in a small cave. There are more stops along the South Rim and it's much more popular, thus more crowded. We decided to head all the way to the end of the road and work our way back, hoping to get a good photo of Spider Rock before the crowds arrived there. 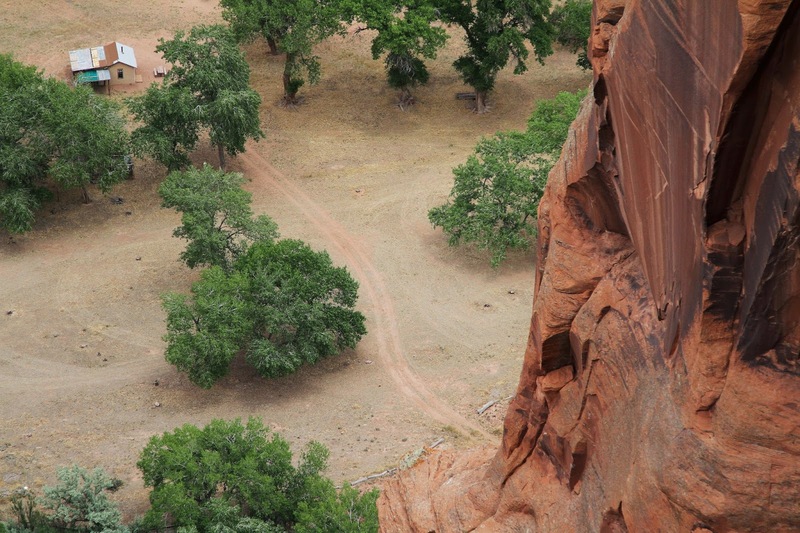 Spider Rock: this red sandstone monolith is pretty impressive. 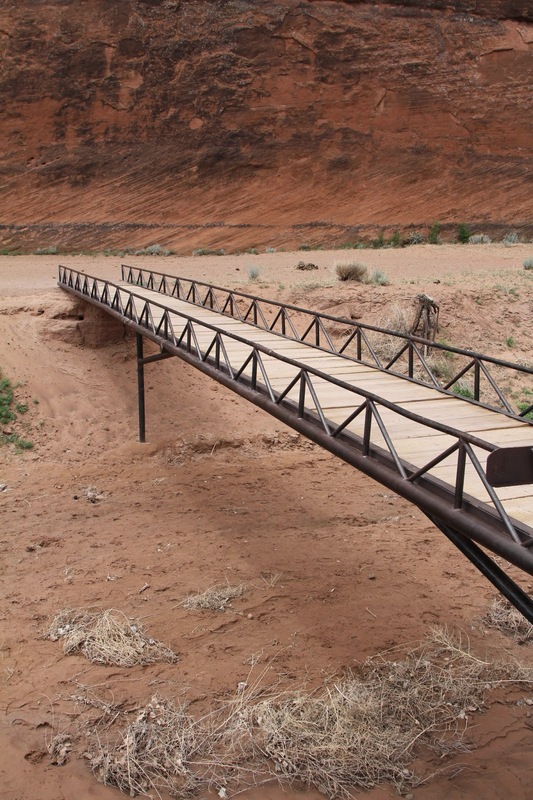 It stands over 800 feet tall, towering over a bend in the river. 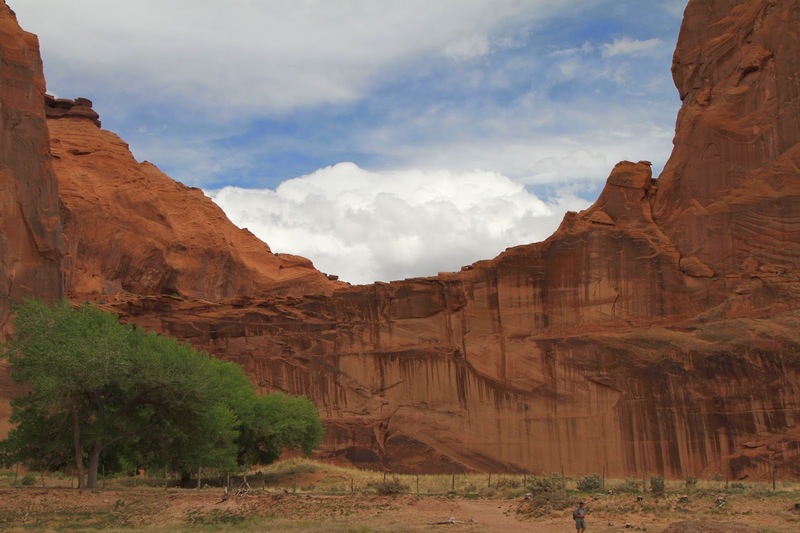 Navajo legend has it that Spider Woman chose the top of this rock as home and one of her many functions in Navajo lore is to keep children in line; they are told if they don't behave she will carry them away to be eaten. 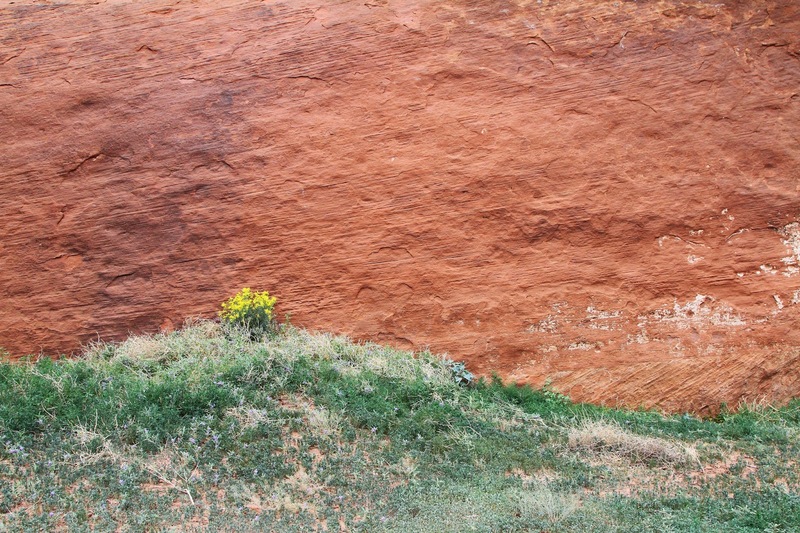 The top of the formation is said to be colored white from the children's bones. Just goes to show there have been desperate parents in every culture, all through the ages. 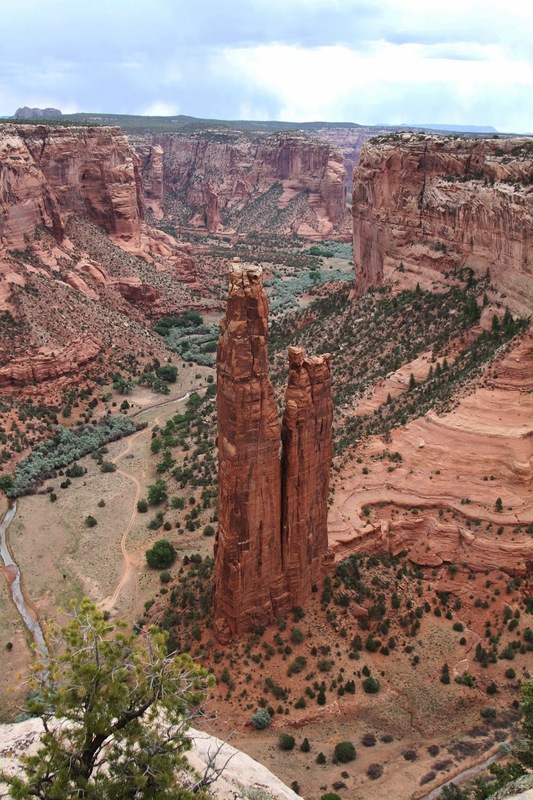 Spider Rock, with a sprinkling of children's bones on top. Or possibly bird poop. White House Ruins Overlook and Trail: this is the only trail leading into the canyon that doesn't require a guide. 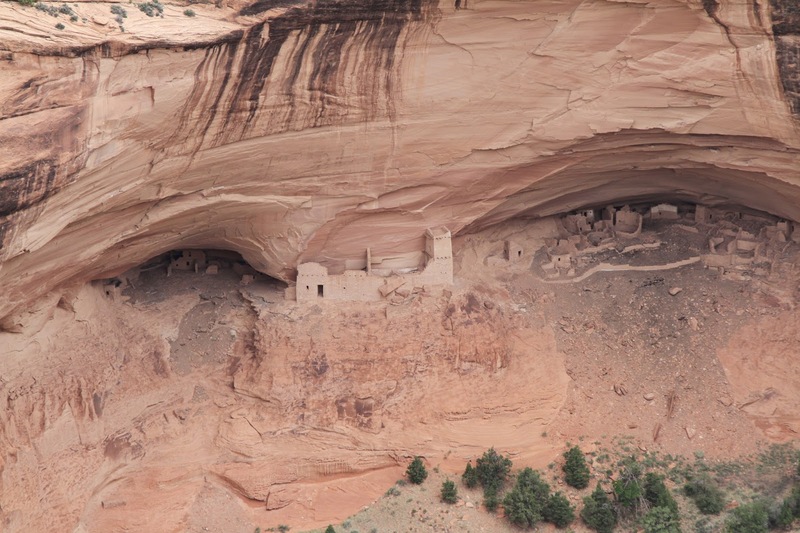 The trail follows switchbacks for a 600 foot elevation change down to the valley floor, where you can view the White House ruins nestled at the cliff bottom. It's called the White House not for it's governmental function, but for a white plastered room discovered in the upper tier of the collection. 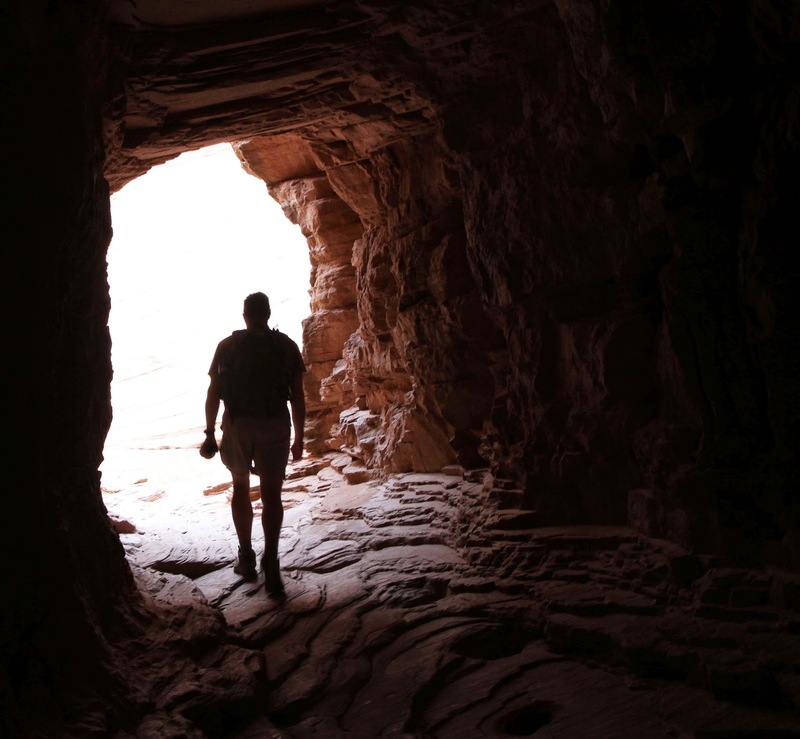 The hike is beautiful; it gives you a close up view of the many layers of rock that make up the canyon and even leads you through a couple of tunnels burrowed through the sandstone. At the bottom, you cross a bridge over the river, skirting a farmer's field (that was being planted the day we were there.) The ruins are behind a cyclone fence to keep people from doing what people tend to do; they are also guarded by a line of vendors hawking handmade jewelry, stone carvings and other offerings. Sign on the gate protecting the White House ruins. Mark makes his way through one of the tunnels on the trail. 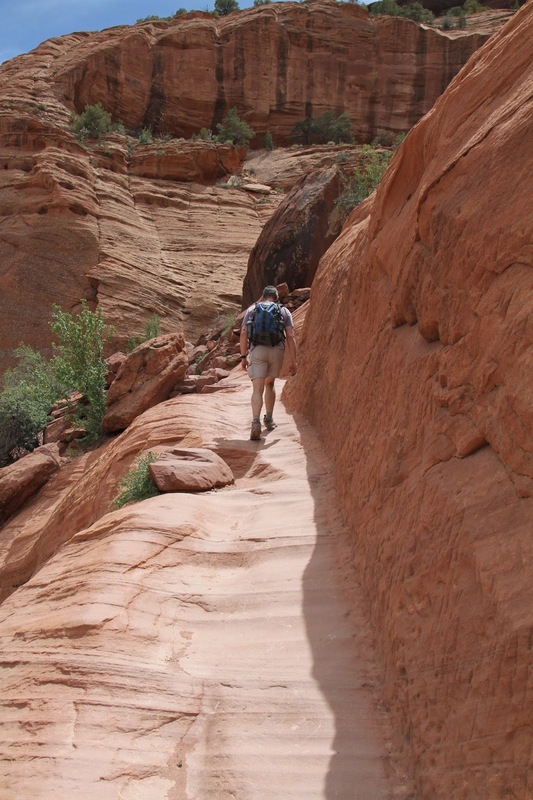 The trail follows crevices along the cliff face. 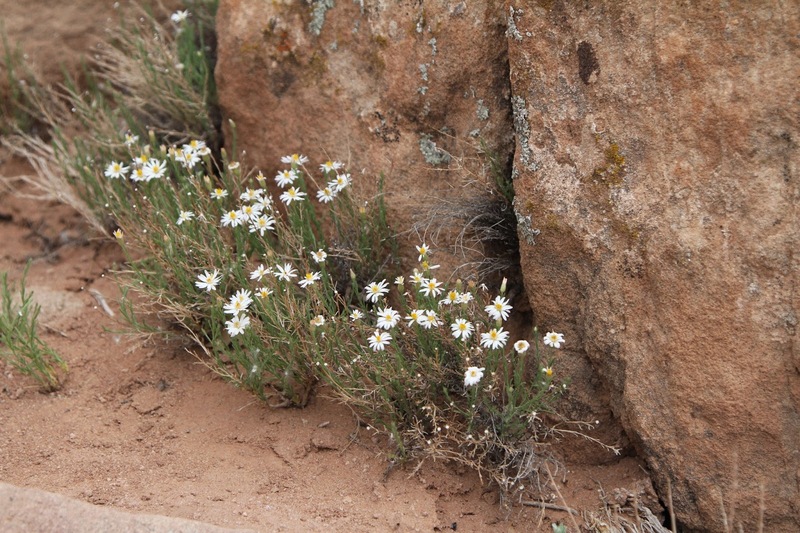 Flowers stand out against the red sandstone cliff base. 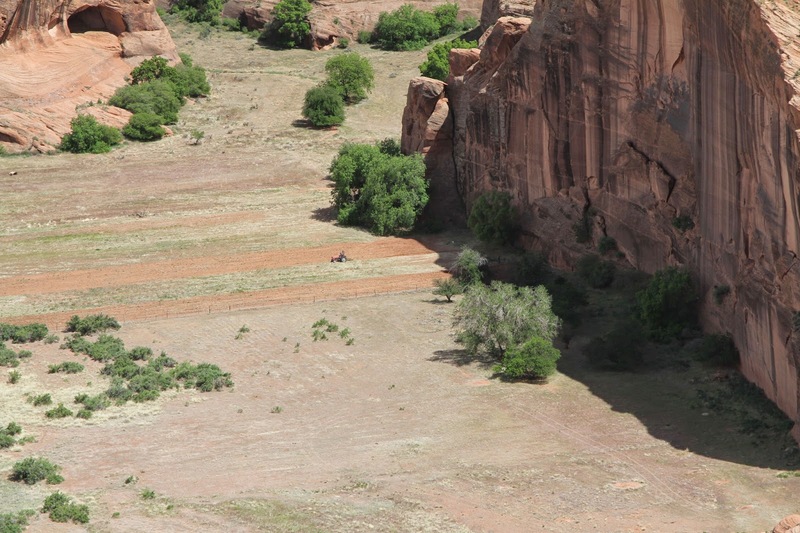 A farmer plows his field in the shadow of the canyon wall. Although I was a bit annoyed at first by the constant presence of vendors in the park, I must say they were not as bad as in some other areas of the world we've traveled (Jamaica comes to mind, where I was under a constant barrage from women grabbing my hair offering to braid it.) They might call out to you, but for the most part the vendors wait for a show of interest before trying to sell their wares. With unemployment being so high on the reservation, the sale of these items is often the only income available to some of the people. A thunderstorm was gathering as we made our way back up the trail. 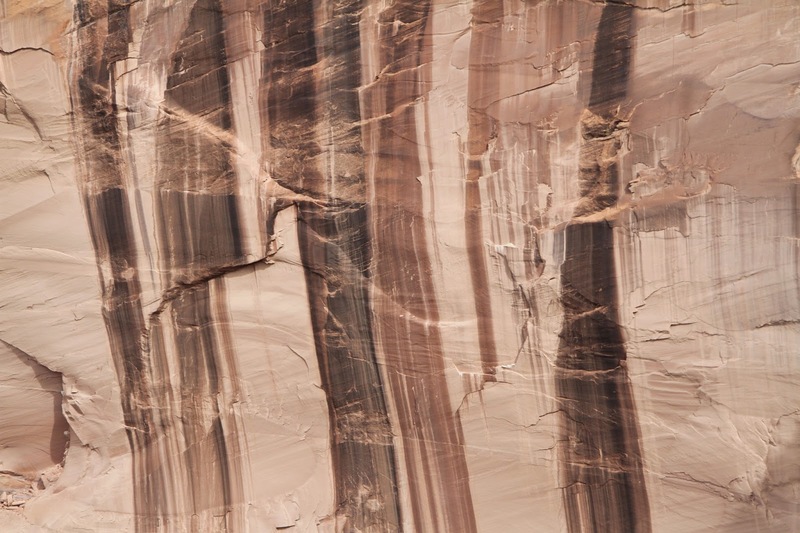 The wave patterns in this sandstone monolith stand out against the darkening sky. Overall, I liked the park very much. It was nothing like any of the National Parks or Monuments we have visited before, but once we adjusted our expectations it was an enjoyable experience. 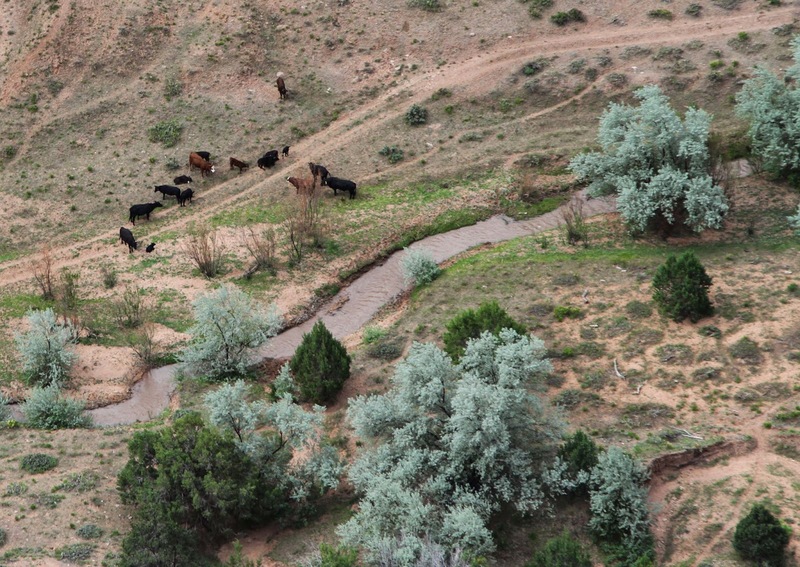 I admire what the Navajo Nation has undertaken; trying to share a beautiful natural feature and preserve a way of life while maintaining a bit of privacy is a tricky undertaking.